Most people learn to crochet to make items for baby. 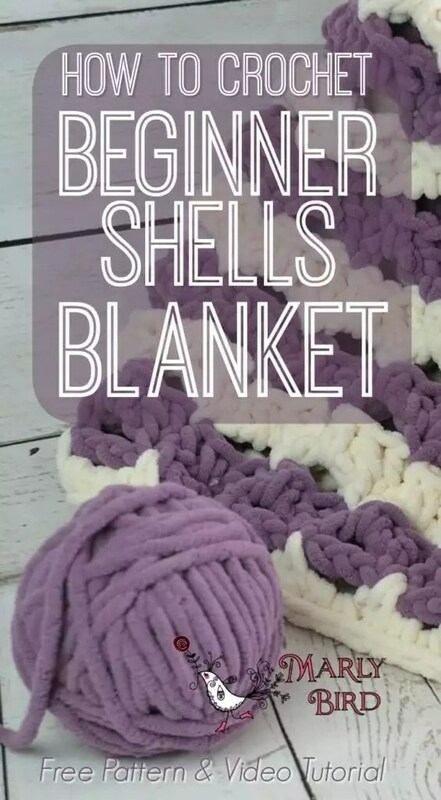 Because of that, I’ve designed a the Crochet Beginner Shells Blanket to be perfect for a true beginner to make for that next baby shower you’re attending. You will have the favorite gift in the crowd! Shell Stitch – 3 double crochet in stitch or space indicated. 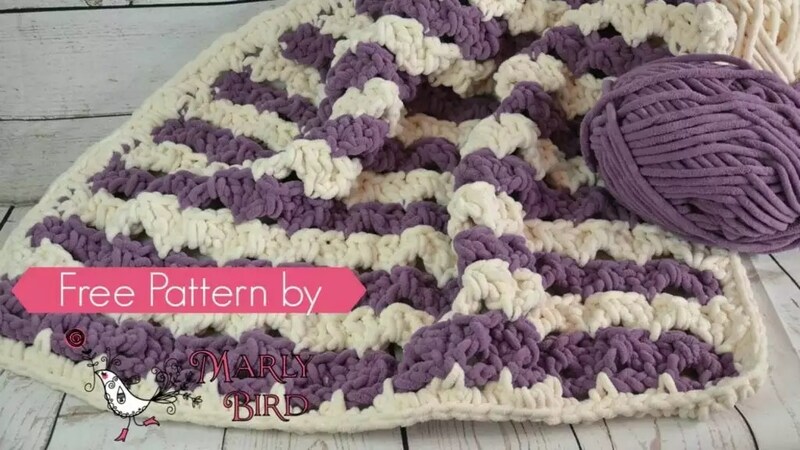 The Sweet Yarn by Red Heart used in this pattern is a thick chenille type yarn. 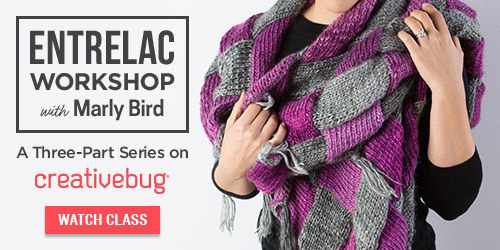 If you substitute be sure to choose a yarn similar or the resulting fabric will be drastically different. This pattern is written with very few abbreviations to make the pattern reading process easier for the beginner. All stitches are worked through both loops when working into a stitch. Odd numbered rows are the Wrong Side (WS), even numbered rows are the Right Side (RS). The stitch marker is used to help you find where to place the last stitch of the following row. Remove the stitch marker when it is time to place a stitch into the chain it is marking, and then add the stitch marker again after the ch 3 on the following row. This will help you keep the edge of your blanket straight. Do not cut the yarn when it is time to change colors, float the color up along the side then crochet over it when the border is added. Change color on the last stitch of the row when the next row is the new color. Click here for a video tutorial for this color change. When you need to add a new ball of yarn I HIGHLY recommend you do it as I demonstrate in this video. Row 1: Single crochet in second chain from hook, * chain 3, skip 2 foundation chains, single crochet in next foundation chain; repeat from * to end of row, turn –14 single crochet. Row 2: Chain 3 (counts as a double crochet here and throughout) place a stitch marker in the 3rd chain of turning chain, double crochet in the first single crochet, * single crochet into next 3-ch space, Shell (see Special Stitches) in the next single crochet; repeat from * to second to the last single crochet, single crochet in 3-ch space, 2 double crochet in last single crochet, change to color B on last stitch of this row (see Notes and/or video), turn –12 Shell. Row 3: Chain 1, single crochet in first double crochet, * chain 3, skip 3 stitches, single crochet into the center double crochet of the Shell stitch of the previous row (see video); repeat from * to end of row, placing the last stitch in the marked chain, turn — 14 single crochet. Row 4: Chain 3 (counts as a double crochet here and throughout) place a stitch marker in the 3rd chain of turning chain, double crochet in the first single crochet, * single crochet into next 3-ch space, Shell (see Special Stitches) in the next single crochet; repeat from * to second to the last single crochet, single crochet in 3-ch space, 2 double crochet in last single crochet, change to color A on last stitch of this row (see Notes and/or video), turn –12 Shell. Row 5: Chain 1, single crochet in first double crochet, * chain 3, skip 3 stitches, single crochet into the center double crochet of the Shell stitch of the previous row (see video); repeat from * to end of row, placing the last stitch in the marked chain, turn — 14 single crochet. Row 6: Chain 3 (counts as a double crochet here and throughout) place a stitch marker in the 3rd chain of turning chain, double crochet in the first single crochet, * single crochet into next 3-ch space, Shell (see Special Stitches) in the next single crochet; repeat from * to second to the last single crochet, single crochet in 3-ch space, 2 double crochet in last single crochet, change to color B on last stitch of this row (see Notes and/or video), turn –12 Shell. The next part of the instructions are to repeat rows 3-6 five more times then you go to the finishing…but hold on! Because I know that can be confusing to follow, and you can lose track of which row you are on, I’ve written out for you those 5 repeats, row-by-row. Now you can just mark off each row as you finish it! Please note, in the video I changed color for the final border so it was necessary for me to join the new yarn with a slip stitch. Because you did NOT cut your yarn and you still have Color B on your hook, skip that step in the video. Round 1: With wrong side facing, chain 1, single crochet in the first double crochet, * chain 3, skip 3 stitches, single crochet into the center double crochet of the Shell stitch of the previous row (see video); repeat from * to end of row, chain 1, sc in same stitch as last single crochet, rotate blanket 90 degrees (you are now working along the side edge). *Chain 3, skip 1 row, sc in last stitch of next row; rep from * to end of row, ch 1, sc in same stitch as last single crochet, rotate blanket 90 degrees (you are now working along the foundation chain edge). *Chain 3, skip 2 chains, sc in the next chains remaining loop(s) (this is on the opposite side of the single crochets completed on row 1); repeat from * to end of row, ch 1, sc in same stitch as last single crochet, rotate blanket 90 degrees (you are now working along the final side edge). 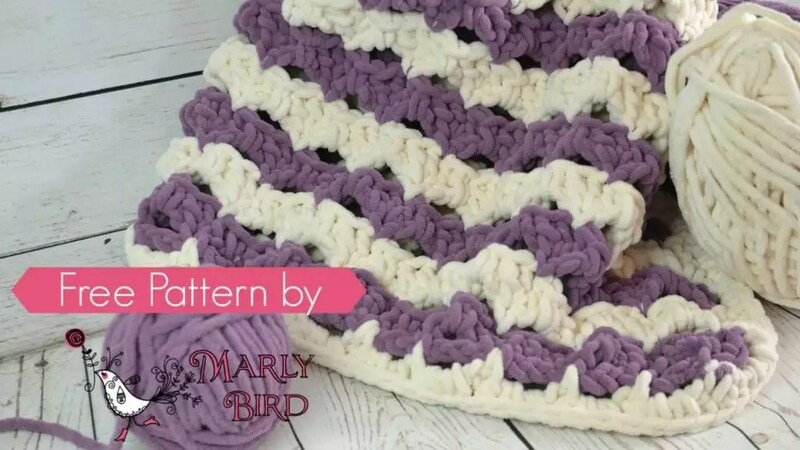 *Chain 3, skip 1 row, single crochet in last stitch of next row (see video); rep from * to end of row, chain 1, join with a slip stitch to first single crochet, turn. on the next round be sure to work around the floats of yarn to hide them. Click here to see video instructions. Round 2: Chain 1, single crochet in single crochet, single crochet in 1-ch space, single crochet in single crochet (1st corner), *2 sc in 3-ch space, single crochet in single crochet; repeat from * to last 3-ch space, 2 sc in 3-ch space, single crochet in single crochet, single crochet in 1-ch space, single crochet in single crochet (2nd corner), *2 sc in 3-ch space, single crochet in single crochet; repeat from * to last 3-ch space, 2 sc in 3-ch space, single crochet in single crochet, single crochet in 1-ch space, single crochet in single crochet (3rd corner), *2 sc in 3-ch space, single crochet in single crochet; repeat from * to last 3-ch space, 2 sc in 3-ch space, single crochet in single crochet, single crochet in 1-ch space, single crochet in single crochet (4th corner), *2 sc in 3-ch space, single crochet in single crochet; repeat from * to last 3-ch space, 2 sc in 3-ch space, join with a slip stitch to first single crochet. See, that wasn’t too hard at all, was it? 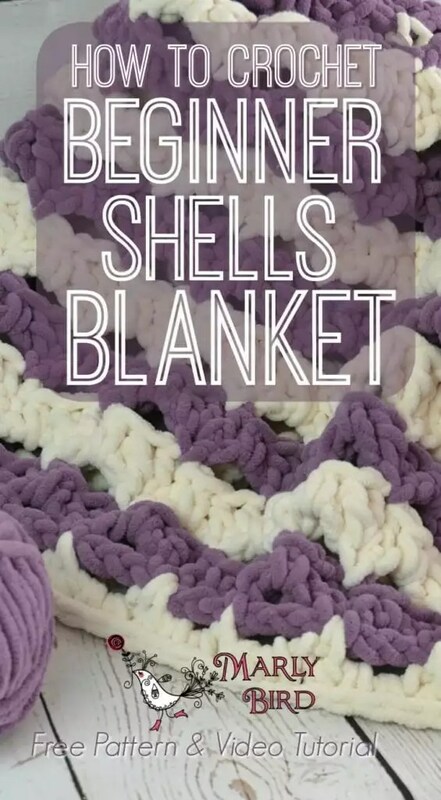 Now you know how to Crochet Beginner Shells Blanket. 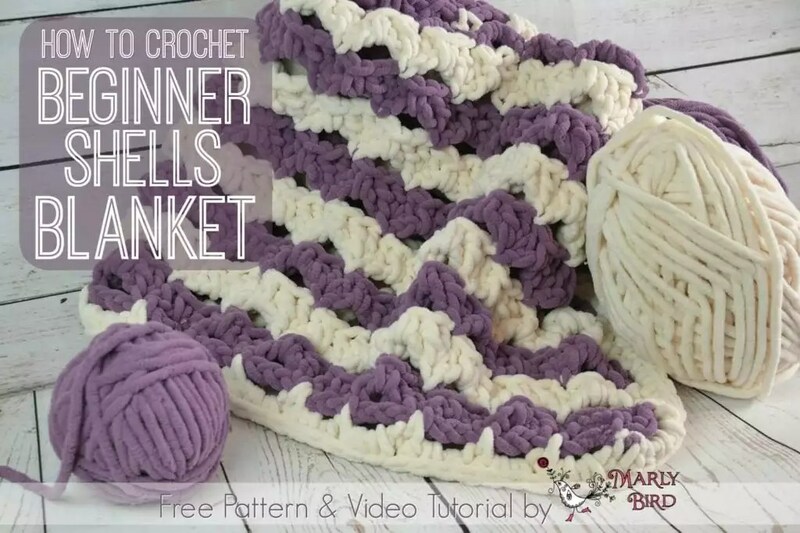 You will amazing your friends and family with your skills 😉 If any part of the instructions confuse you PLEASE watch the video tutorial for the crochet beginner shells blanket as I know it will help. I can’t wait to see your finished blankets! Please share pictures of them with me on Facebook! Please feel free to use an image below to share on your favorite social media site! Written pattern copyright Marly Bird Designs, a division of Yarnsports LLC (c) 2017.